You have two choices when it comes to buying a home. You can pay for the entire purchase out-of-pocket with cash, or you can finance the home. For most people, getting a home mortgage loan is the best option. The lender pays the selling price for the home, and you repay the loan with interest by making monthly payments. Before you move forward, check out these home mortgage loan basics. The mortgage lender looks at your credit score and credit report with an eye towards determining if you’re reliable. Delinquent accounts place shadows on your credit report that can delay your home purchase. Don’t be caught by surprise! Order copies of your credit report from TransUnion, Equifax, and Experian. Due to the Fair Credit Reporting Law, you can order one copy from each agency once per year without paying a fee. Set up a schedule to repay any debts and catch up delinquent accounts. Report any errors you find to the proper agency. While we’re on the topic of the importance of your credit report, let’s touch on best practices before and during the home buying process. It’s best to protect your income to debt ratio by not making any large, expensive purchases that require a repayment plan. Changes in your employment and income can impact your credit score and give the impression that you’re not reliable or stable. Do your best to protect your work history by staying put at your current job. While the home mortgage loan covers the price of the property, there are other expenses included in the home buying process. 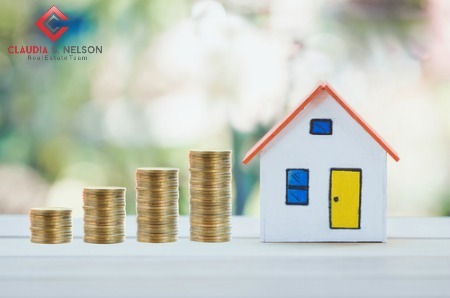 Unless you can get a loan with little or no down payment, you’ll be expected to pay around 20-percent of the cost of the home as a down payment. Expect to pay between two and eight percent of closing costs that include inspections, attorney fees, appraisals, and other service charges. There are instances where the seller agrees to pay the closing costs, but you should be prepared to pay these on a closing day. In fact, if it comes down to a bidding war, the fact that you are willing to pay closing cost could swing things in your favor. All mortgage loans are not created equal. Take some time to research the different types of loans offered by the lender of your choice. A loan with a fixed rate means that the interest rate is locked in and doesn’t change during the life of the loan. This type of loan means you’ll always know your monthly payment because it doesn’t change. A loan with a variable rate changes depending on current interest rates. Your monthly payment rises and falls depending on the market. If this causes you to feel unsettled, you may want to explore the fixed rate. Another variable in mortgage loans is the repayment period. Determine which is more important to you before you seek an appointment with the lender. Would you rather pay off your home faster but have a higher monthly payment? Or, do you prefer a smaller monthly payment with a longer term? Loan terms are usually ten, fifteen, or thirty years in length. Look to the future and make sure you understand any penalties imposed for early loan payoff. Don’t feel locked into using your usual bank to secure a mortgage loan. Do some research and find the lender with the best terms.